PROJECT: POTEMKIN releases its SERIES FINALE (but it’s NOT ending because of the GUIDELINES)! 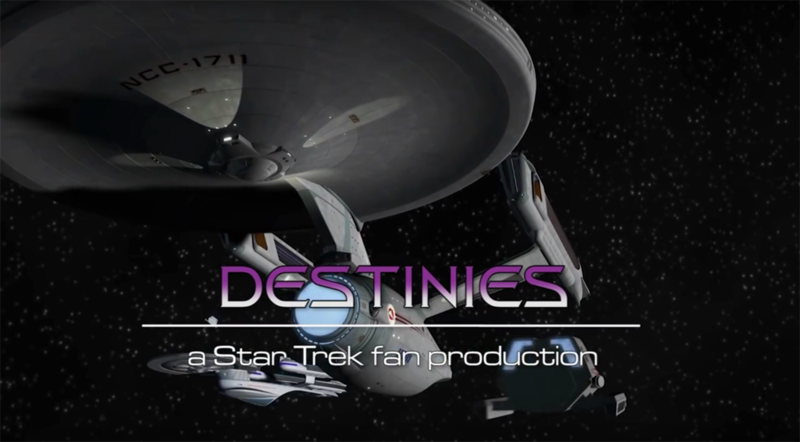 In 2011, a new Star Trek fan series based in the movie-era released its first episode, and the world of fan films was introduced to PROJECT: POTEMKIN. 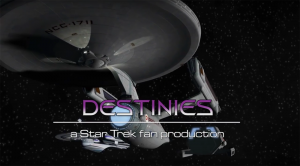 Five years and thirty-four episodes later, Project: Potemkin has just released its series finale, “Destinies.” No spoilers except to say that this seven-minute episode wraps up the series nicely and ties in with three other fan series also being produced by Potemkin Pictures: Starship Tristan, Starship Deimos, and Starship Endeavour. The new guidelines have absolutely nothing to do with Project Potemkin ‘s passing. Our moving to Alabama for my wife’s job was the only consideration. Indeed, in an interview we did last year, Randy told me that all the episodes of Project: Potemkin had already finished filming and were just waiting in the assembly line of post production to be released one after the other…which they now have been. Only the most recent two episodes came out after the guidelines were announced, and each was renamed from Project: Potemkin to the episode name in order to avoid violating the guideline that specifies no ongoing fan series. Project: Potemkin’s productions, for the most part, were well within the new guidelines. And our current productions are having little trouble with them. Only “Between Two Worlds,” featuring the Tristan crew, will be more than 15 minutes, and it was in production a year before the guidelines were established. All in all, the thirty-five episodes of Project: Potemkin are a fine portfolio of work by this shoe-string budget team of drama students and local community theater actors and instructors. 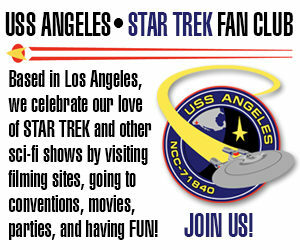 No Hollywood professionals, no hundred thousand dollar sets or custom-made uniforms, and no crowd-funding campaigns. Just a lot of heart and dedication. AND IT’S NOT OVER YET!!! Yes, this latest release was announced as the “finale,” but the Potemkin website lists one more episode, “Room Service,” which is a post script, as Randy calls it, to the entire series. It will be released right after “Pas de Trois,” which will be the next episode of Starship Deimos. So don’t mourn Project: Potemkin, my friends. Their “can do” spirit lives on in the other ongoing fan series from Potemkin Pictures: Starship Tristan, Starship Deimos, Battlecruiser Kupok, and the upcoming Starship Endeavour. You can watch the Project: Potemkin finale “Destinies” here. Next Next post: TREK: ISOLATION spins off from STARSHIP FARRAGUT and releases its first series episode “Out of the Fire”!